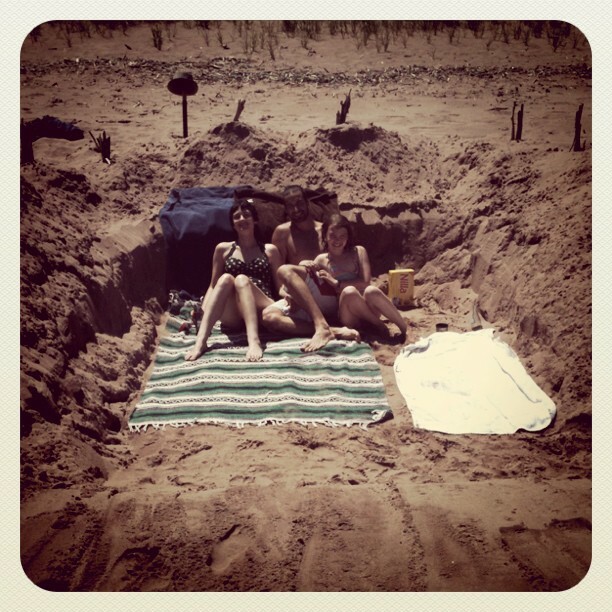 This past weekend hannah, shawn and i dug a beach bungalow. This is the perfect way to seclude yourself on a busy beach and get a decent workout at the same time. Thanks Shawn for the picture! I love it!